The name "bourbon" is derived from the county with the name bourbon county which is in the USA. In honour of the French King that gave assistance during a war the county was named after his house, the "House of Bourbon". Generally the backtracking stops there in the good old USA tradition of keeping it close to home. Let's go that little step further down in time. The Kings of France that had the tittle of "Lord of Bourbon" got that tittle thrue inheritance and marriages over many centuries. 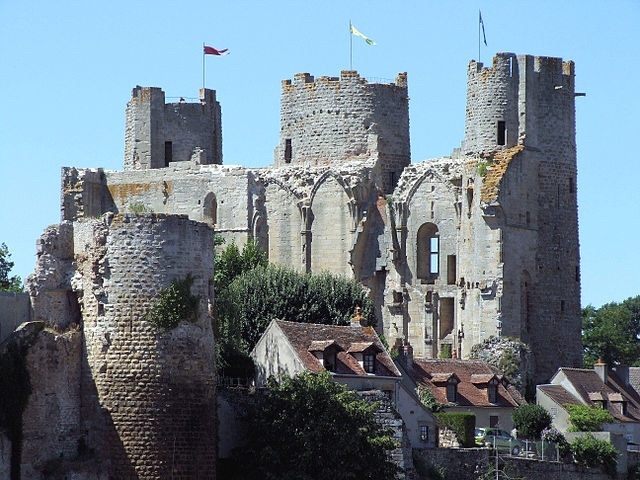 A cute little village, Bourbon-l'Archambault, in France has a rather impressive castle where the Lords of Bourbon Ruled. This was naturally not build overnight and therefore somebody must have payed for it. The first Lord of Bourbon was born in 870 and was named Adhémar of Bourbon. He had kids, they had kids, married into houses and eventually ended up being Kings of France, Spain, parts of Italy and Holland, Luxembourg etc etc. So that's as far as I have found it, but I'm sure many of you can dig further. The ancestors of Adémar were not called "bourbon" but have lineages with the Merovingians. This year I am going to enjoy my summer vacation in the lovely province of Drenthe right here in the Netherlands, aka Holland. I will enjoy two weeks in a spa resort. I should have plenty of time to explore local distillers, I thought. 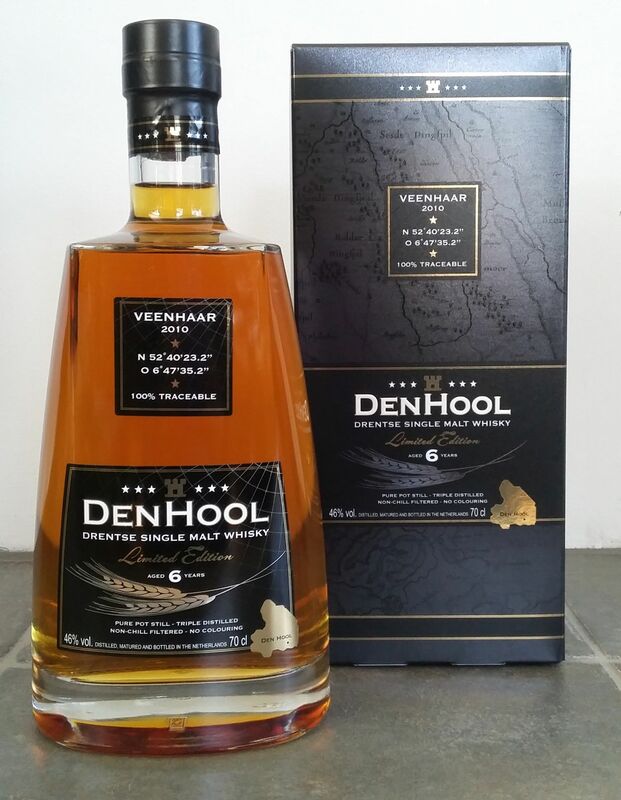 So I googles "Drenthe Whisky" and stumbled on the DenHool website. They have a Facebook as well. I started reading only to find out that this April 2016 will be the date that they will bottle their first whisky. There is an option on the site to get on the list of people wanting to buy a bottle. So I filled that out and I'm on the list. No pricing information is available yet. There will be a 6 Years Old Brought to market first and this is what the website gives as information about this Whisky. The name will be "Veenhaar 2010". 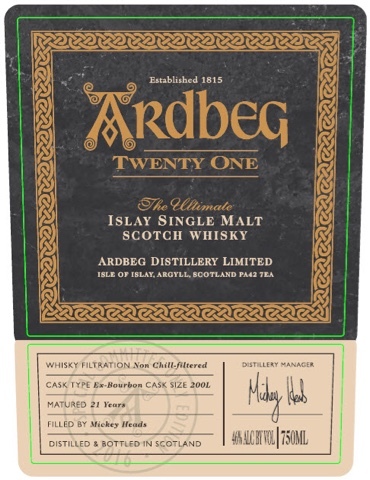 This whisky will be launched onto the market in 2016. 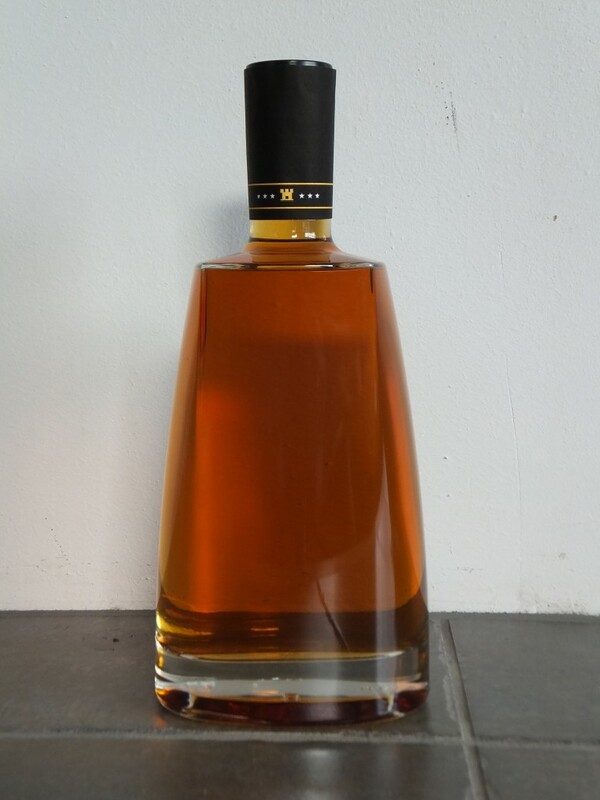 The aim is to create a wonderful golden-brown whisky that smells of fruit, honey and vanilla. A well-rounded whisky with recognisable flavours such as caramel, vanilla, tannins, toffee and fruit and a long-lasting and intense after-taste. Since there were only three barrels used to make this whisky there is about enough for 855 bottles. Update 26/03/2016: the website mentions four barrels that were used. Update 04/04/2016: the website mentions the four barrels resulted in 1130 bottles. This is sort of confirmed by the cubic meter vat they put the three barrels in for combining the three barrels into one final spirit. I asked about this whisky on Facebook and it will be 46%, natural colour, unchill filtered. I got a message today that I could order my reservation. So I did. I also have found a photo on the website of the bottle and the box. 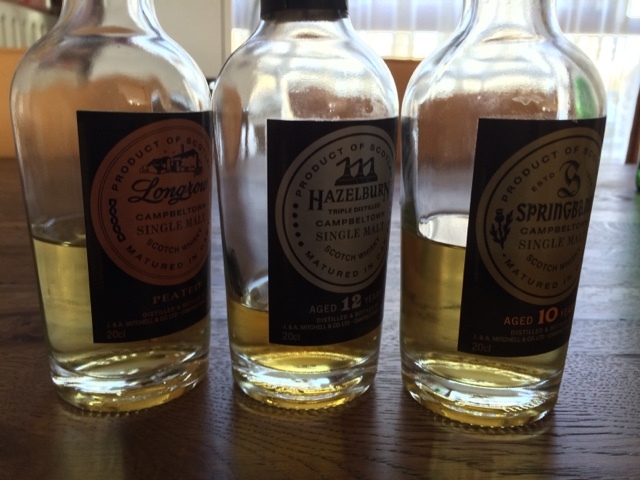 I have created my own bottling of a single malt blend of three single malts from the springbank distillery! I got the idea from Ralfy after I was had seen two of his vlog's. I thank Ralfy for the inspiration it have me to try something new. I have let it combine for some time and tonight I poured myself a dram and tasted it! It is wonderful! It seriously is. The nose has peat, vanilla, salt, raisin, floral notes, oak. Weird stuff! But good stuff! The whole tongue is activated from front to the side to the back! Even the back of the throat! So the arrival is pretty good! The taste is a combination of all kinds of notes that I seriously could not list if I tried! The finish is quite long as well. This stuff is excellent! Reproducing it will be sorta possible since I made photos of off the amount left in the bottles before I blended them together. One thing is for sure, I'm doing this kind of blending again! 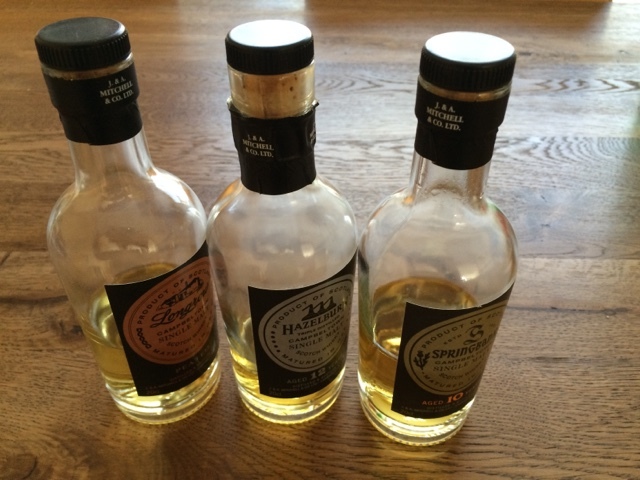 You can do this yourself since springbank sells these cute 20 cl bottles in a gift set! Come to think of it!! Lots of distillers sell 20 cl three bottle sets that could be blended together in equal or any proportion if you wanted to! And for a price that won't bankrupt you! Enjoy! 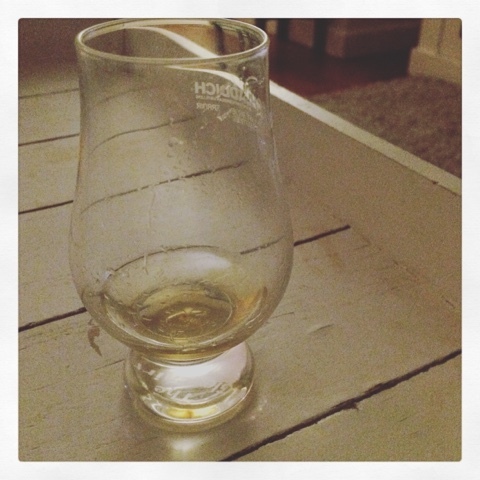 I finished my last glass of this dram on the 27th of April 2016. It tasted more integrated since last time I had a glass. 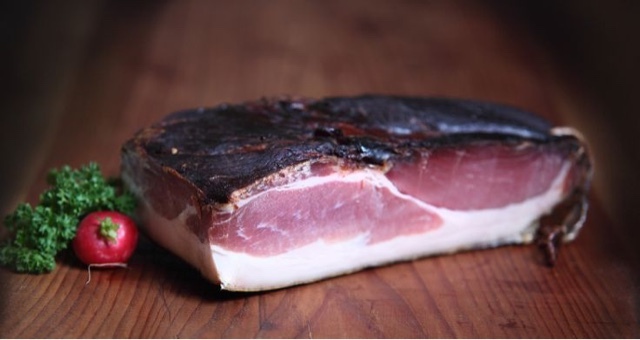 The tongue was still covered with taste so it hasn't lost any potency! This blog was started on 19th of March 2016. 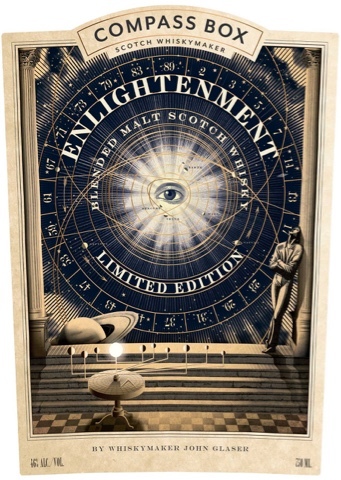 Compass Box will come with a limited edition of "enlightenment". In the USA it will be a 750 ml bottling at 46% ABV. The labels are just stunning and also give more information about their "transparency" campaign. In fact it looks like this expression was especially created to further give notice to the transparency campaign! So this campaign will go forward, but for this expression they choose to limit the information on the label just for now. Images below as found on TTB site of USA government COLA registry. Update on 5th of June 2016. 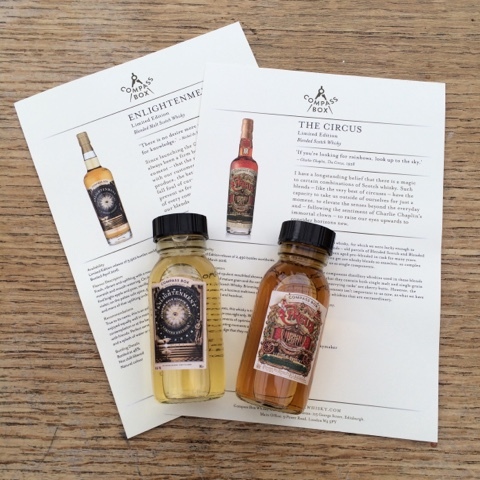 After a reply to a Twitter message about a review by Thomas Speller on "The Circus", https://whiskyworship.blogspot.nl/2016/05/compass-box-circus.html?m=1 , I ended up receiving samples of both "enlightenment" and "the circus"! I am naturally honoured and very glad to be able to taste these two drams! Thank you compass box for sending me the samples! Nothing bitter or medicinal. No sherry wine port influences. 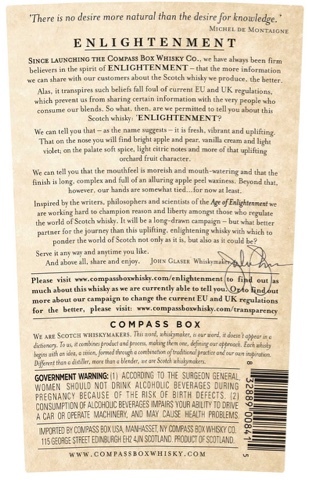 I haven't read the tasting notes on the cards that were part of the envelope compass box send me. Well I did, but just before tasting I totally forgot what it said. I have has some Noah's Mill bourbon last night and the Lagavulin 8 yo anniversary edition. Non of the typical bourbon tastes and smells are in the nose and taste of the "enlightenment". This would suggest the use of European oaks or second fill ex bourbon. Nothing peaty in this dram either, but I did pick up something smoky since I think I tasted and smelled light smokiness from dried pork. I will taste and smell this dram some more, till the sample runs out. See if I pick up some more tastes and smells. Will I look at the tasting notes compass box put on the cards? I think I will, but I wanted to see what my nose and mouth and mind found at first taste. Next time I will see if I pick up the notes in the cards. Since I don't do marks I will just say I like it! Next thing I will do is find some research on the origins of the tastes I found and see if those are from the woods used to mature or from the distillate used by compass box. So this blog is not quite done ;) lots to learn still! 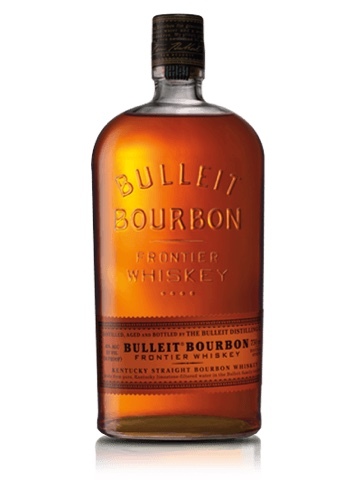 Today I visited a local Mitra liquor store here in Lelystad and had the opportunity to taste the "Bulleit Bourbon". The nose was not bad to be honest. I actually kind of liked it! So on to tasting it! Hi! If you happen to read this! This is not a blog entry about anything really. It's my scrap dump and go "to do" reading list that I may or may not keep updating according to a need I may or may not feel. In short this is my dump and go short list for stuff I need to read eventually because I added it myself to read eventually. Thus, feel free to click the links below and check out what I considered, at one time, when I added it, interesting! The experience was excellent and, to be honest, maybe even better then an average Scotch Single Malt. So after that I Took a look what Ralfy had to say about Bourbons and he adviced that you select one bourbon and make it the reference to which you start exploring. Ralfy selected as his reference the Elijah Craig 12yo. Both the Elijah Craig and Noah's Mill are available here in Holland so no problems for availability. I have no Idea for now why these would be advisable but I will enjoy finding out why. I will lookup all these up and describe them in this blog. So let's start exploring! I had received this advice from Klaus Doblmann. He has his own blog DramsOfKlaus which can be found by following this link. So when I googled this stuff I found out two things. 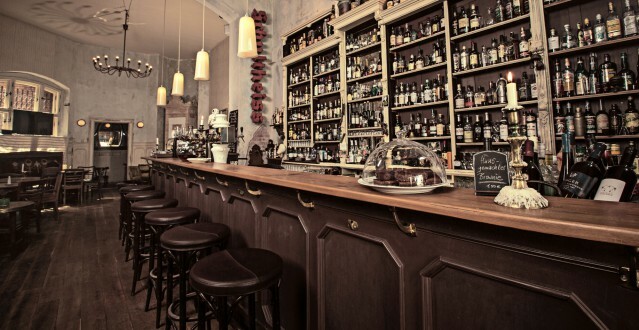 Cadenhead is a bottler and Heavel Hill is a bourbon distilley that has multiple whisky brands to its name. Such as Elijah Craig and Evan Williams. So apperently Cadenhead's as a bottling company does something with whiskey's from the Heaven Hill brands. Lets check that out. As it turns out I have been having a very hard time in finding any bottles being sold in Holland. 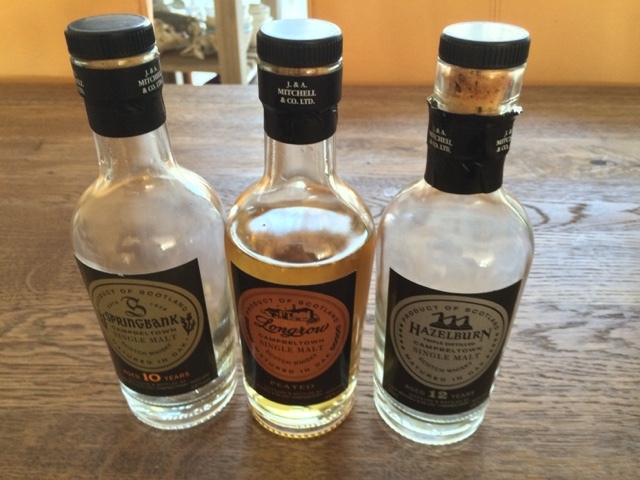 Thanks to The Whisky Jug Blog some more information is given about one of these bottleings. 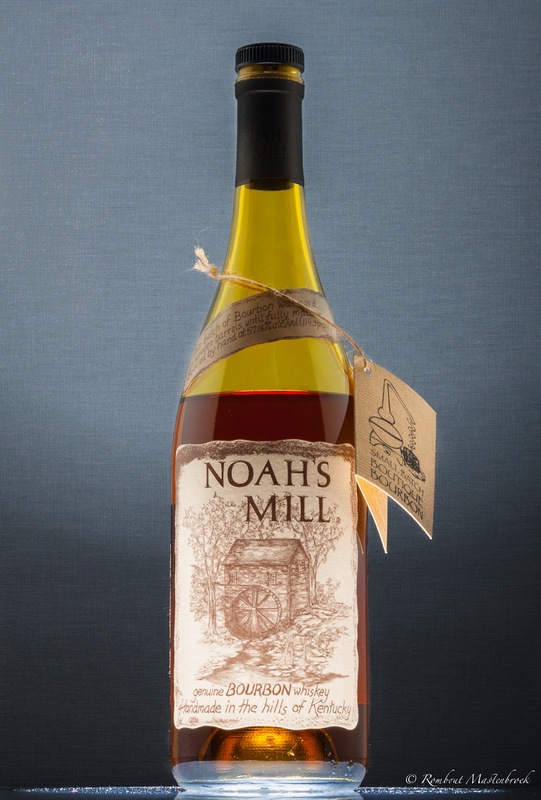 The Noah's Mill Straight Bourbon Whiskey is one of the expressions of the Willett Distillery. On the page of the Distillery information can be found about the story behind the bourbon. What it comes down to is that it has won awards and some guy called Jim Murray gave it a 93 our of a 100 back in 2012. I personally loved it when I had this in Berlin. I was really impressed about this Spirit. The fact that I liked it was the main reason for checking out the prices and getting myself a bottle. As Ralfy suggest, choose a reference and start your journey based on that point of reference. I am deciding that this will be my referencepoint when exploring Bourbon's and other American Whiskey's. I will also compare this whiskey, I mean Bourbon, to expessions like Bruichladdich Classic Ladie, or a Bruicladdich LaddieMP3 single barel expression. To find out what this would cost I looked up some pricing information in Holland (Netherlands) and as it turns out one can get a bottle here for as low as €49,95. On Masters of Malt it's priced at €70,32 and is sold out. So I just ordered one and added a bottle of Elijah Craig 12 yo at a price off €28,95 just for good measure. 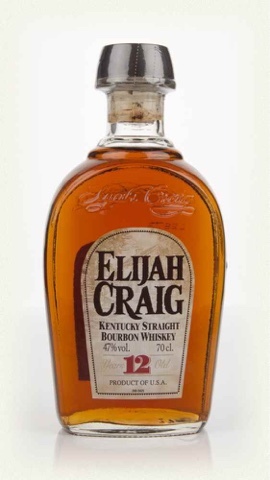 I tasted the other day and compared to the Elijah Craig I like this much better. But, compared to the experience in Berlin , where I tasted this for the first time, I was a bit disappointed. The nose was good! Nothing wrong there, but the color was less red, less sparkling then I remember. 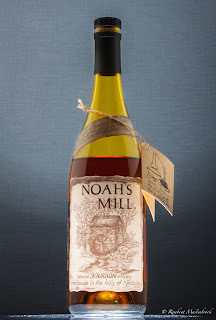 After some investigation I found out there are multiple versions of the Noah's mill and I got the one without the wax top and without the 15yo age statement. I do not know which one I had in Berlin. So no way to tell if the ambiance was also a factor in my tasting experience, but it probably did. iladdie@lundybendslight i tasted the Noah's Mill . Much better then the #elijahcraig12 i must say. If i add water it really opens up and there is some oil that comes free. Nice slow legs after adding water. Reminds me of a sherry matured Bruichladdich I have. Less in your face vanilla and oak. Oranges, herbal notes. I quite like the Noah's mill !! lundybendslight@iladdie get this, if you happen to find a NM with a wax top it will have more oil, almost creamy and if you come across a wax top with an age statement of 15 years it's even better. The foil tops have a little thinner shorter finish. But the foil tops are all that's available unless you find a bottle for sale that someone had been holding. The product has changed over the years. Also look for its little brother Rowan's Creek. Glad you enjoyed it better than the EC12. I'm concluding I like Noah's Mill better then Elijah Craig! This bourbon was the reference for Ralfy to start comparing American bourbons, whiskey and Rhy spirits. I opened up a bottle last night and put some in a glencairn. Let it settle for a bit. After I let it strole I notice the legs were not particularly slow, they were actually very fast. Something I'm not used to since I own a couple of really nice Bruichladdich laddiemp3 bottles. James Lundy on Instagram asked me to post my tasting comments. Here is what I replied after nosing and tasting. iladdie@lundybendslight I am having one right now, next to a @Bruichladdich classic laddie edition_01. Nose is much more intense then the single malt. It's quite overwhelming where the malt is subtle. Taste is spicey, to much vanilla for me and to much, what I think is, oak. 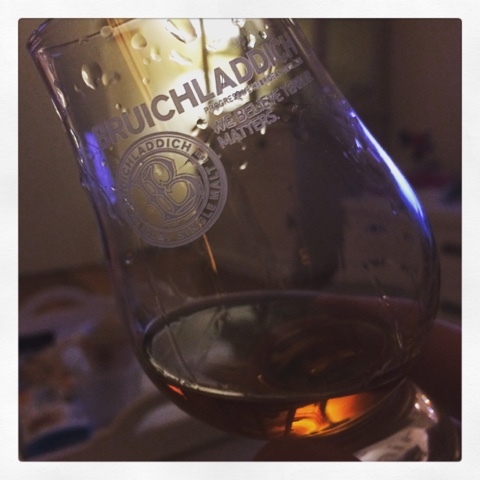 Compared to Elijah the Bruichladdich is more balanced and integrated in my current opinion. Since these are my first step with bourbons it might be that this kind off bourbon needs to grow on me before I start to appreciate it. Interesting though! And fun!! So, not convinced yet about bourbon. What I learned is that, depending on something called a mashbill bourbon can taste very differently depending on the other 49%. I will need to look into that, since I want to prevent jumping to any conclusions based on the three bourbons tasted till now. Ok, ok! I tasted Jack Daniels black label too, but I'm not considering that as a serious spirit at all. Snob? Yes! Sorry! 😜 To far gone up the quality ladder in spirits to seriously consider that stuff other than for mixing with cola.